There is a lot of difference between the esophagus and the trachea. If you are under any confusion about these two vital parts of the body, take a look at the differences we have described below! Functions-The first and the most obvious difference is that the trachea is a part of the respiratory system while the esophagus forms part of the digestive system. Since they belong to different systems, they perform separate functions! Structure-The trachea, commonly called a windpipe, is a strong and wide tube that helps in transporting air to the bronchi. It is the most important part of animals that breathe in through their lungs. Since it supplies the body with oxygen, it is very important for the trachea to remain open at all times. Some allergic reactions may cause an inflammation of the trachea. The patient faces imminent death if he does not receive prompt medical treatment. The esophagus is smaller and more flexible in structure (naturally, look at the amount of food it needs to transport!). It is the link between your mouth and the stomach. Muscular movements of the esophagus result in the passage of food from the mouth to the stomach cavity. The esophagus and the trachea are located at roughly the same place. They are separated by the epiglottis-a tiny flap that protects the trachea when you swallow something! Length and location-The trachea is made of a number of cartilaginous semi circular rings. These prevent the trachea from collapsing. It is about 9 to 15 cms long. It lies in front of the esophagus. The esophagus is a muscular tube, about 10 inches long. Parts- Another difference between the two relate to their structure. The trachea has both thoracic and cervical parts. It extends from one end of the larynx. The esophagus, on the other hand has three parts-the cervical, abdominal and the thoracic parts. It extends from the lower side of the pharynx to the cardiac opening to the stomach. It has a number of constrictions right at the place it originates. Food particles can lodge themselves in these areas. However, the structure of the esophagus is amazingly flexible-it can swallow almost anything! Blood supply- Another important difference between the two relate to their blood supply. The esophagus is supplied by arteries in the neck, thorax and the abdomen. However, the trachea is mainly supplied by the inferior thyroid arteries. 1. The trachea is a part of the respiratory system, while the esophagus is a part of the digestive system. The trachea transports air while the esophagus transports food. 2. The trachea is the longer tube, but the esophagus is more flexible. 3. The trachea has two parts, but the esophagus has three. 4. The trachea is supplied by the inferior thyroid arteries, while the esophagus is supplied by different arteries at different locations in the body. Purpa Mukherjee. "Difference Between Esophagus and Trachea." DifferenceBetween.net. 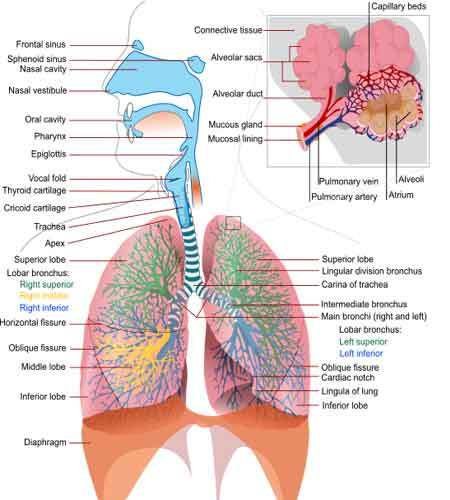 November 24, 2009 < http://www.differencebetween.net/science/health/difference-between-esophagus-and-trachea/ >. The trachea is SHORTER than the esophagus if it is 9-15 cm long and the esophagus is 10 inches long. Beats me why you would switch from metric to english units when you are comparing the two. Trachea is SHORTER (at 10-15 cm) than the esophagus (at 10”). Person wondered why standard of measure was switched from Metric to ‘English’ (Imperial’) in comparison. The Trachea IS INDEED shorter. Centimeters: Trachea 10-15 cm. ; Esophagus 25.8cm. The Scientific Model requires using consistent methods of measurements in every step. This is true with research, academia, literature, writing, manufacturing, clinical practice, and journalism. At first I also couldn’t see any reason to combine the two measurement standards until I posted them and saw how the 10 cm. Trachea and the 10” Esophagus gave the ‘false’ appearance of balance. False, because it implies they are balanced in size when in fact one is 2-½ to 3 times longer than the other!